Fracture is the breaking of the bone. The nature tries to heal all tissues including the bone but sometimes due to unknown reasons it fails to do so. 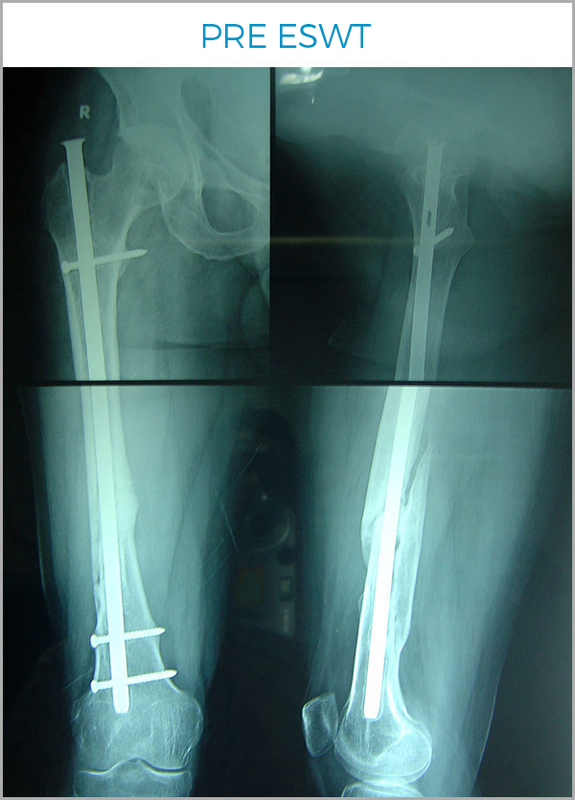 The standard teaching is to enhance the healing by way of adding bone grafts from auto or allograft or bone substitutes and even bone marrow injections. Various other technics are developed from ultrasound to electric stimulations but no single technic is gold standard and has varied results so far in the literature. After the onset of ESWT lot of work is being done both at basic research level and in vitro and vivo. The success rate depends on whether the non-union is hypertrophic or atrophic variety. The results being far better with hypertrophic variety than atrophic. 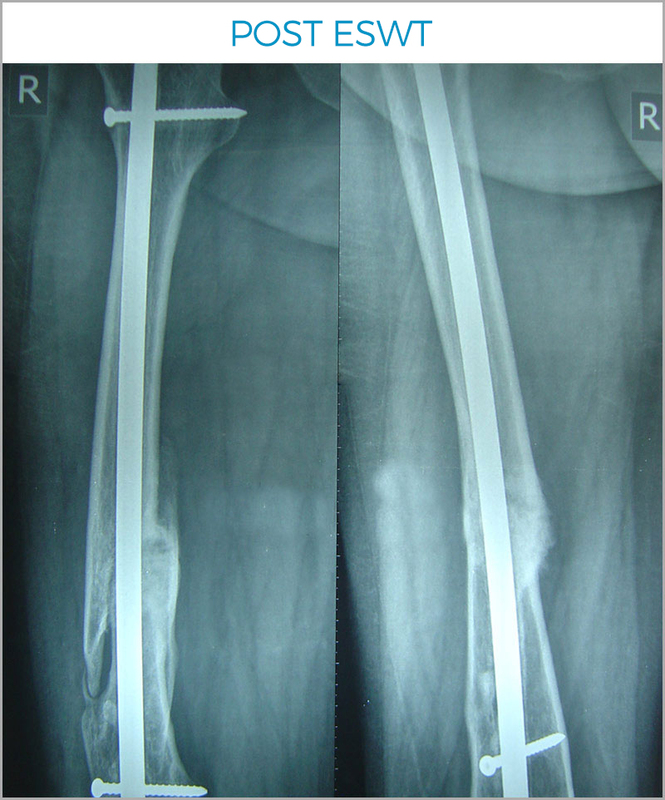 By far after the promising success with ESWT in the west ESWT is considered as the first line of treatment for delayed and non-union of bones worldwide. 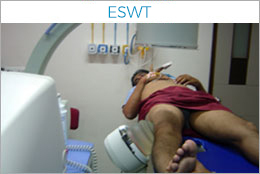 ESWT can be given even in presence of implants and there is no need of brace if the implants are holding. The new bone formation is seen as early as 6-12 weeks even after resistant non unions of long standing.